Directed by Inuk Silis Høegh. 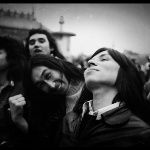 In the 1970s the Greenlandic rock band Sumé released three albums that changed Greenlandʼs history. They influenced an era, boosted the self-esteem of the Greenlandic people and motivated the political process of establishing Greenlandʼs Home Rule Government and the countryʼs first uprising against the Danish colonial powers. Itʼs a revolution youʼve probably never heard of. Not a shot was fired, not a single drop of blood spilled. 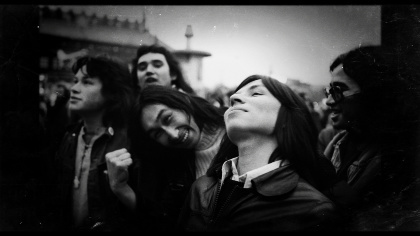 Through present-day interviews and unique, previously unseen archival footage, the film brings to life a story of an indigenous peopleʼs fight for their own voice and cultural identity. Karsten Sommer, founder of Greenland’s first record label Ulo, will be present for a Q&A session after the screening.